They can be mixed with any fresh fruit you have on hand so its a great way to use up that extra bit of leftovers in the fridge. You guys know I hate to waste. I like to add granola in mine for some extra crunch and texture. It just adds that little extra jazz and my kids love it! This Strawberry Yogurt Parfait is my son CJ’s favorite. It is a great summer snack idea or yogurt dessert for kids and still keeping it healthy. With help from Yoplait it keeps my kids from eating too many sweets during the day but not sacrificing their sweet tooth craving. 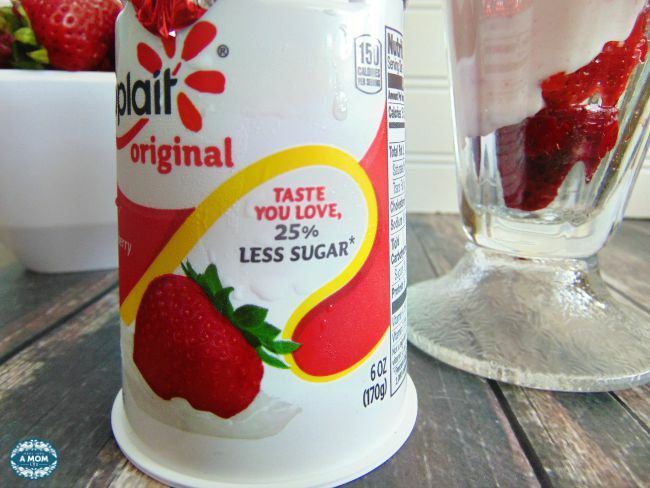 The best part, Yoplait now has 25 new lower sugar flavors such as the popular ones like strawberry, peach and blueberry. Mix them up with fresh fruit and you have a great healthy snack option. Strawberries are a staple in my house, especially over the summer that they are in season. If you have bananas on hand you could layer some banana slices in as well. 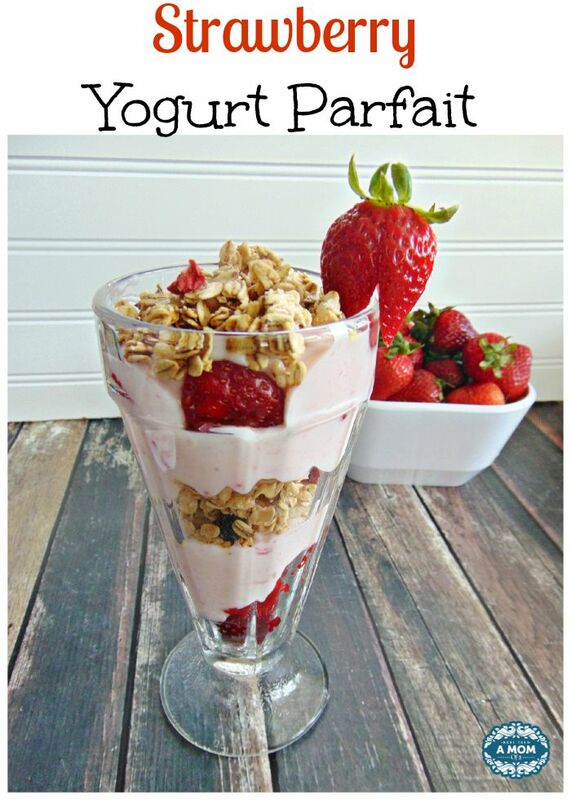 This Strawberry Yogurt Parfait is a snack I can feel good about feeding my family. Who needs the ice cream man when you have these in the summer afternoons? 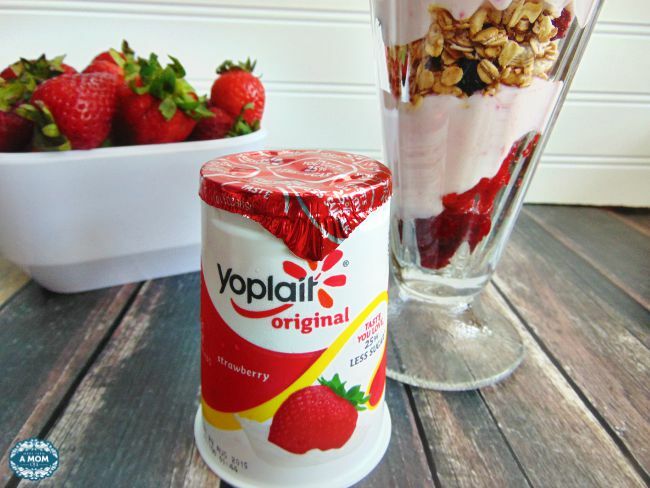 You can find all of the ingredients including the Yoplait Original products with 25% less sugar at your local Publix. Be sure to print this Yoplait money saving coupon before you go! Also I have a fun giveaway for you guys! 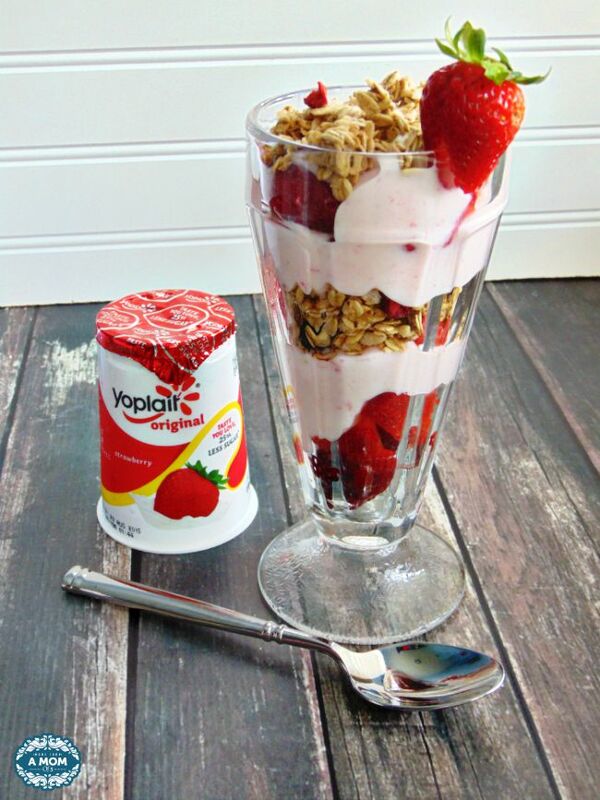 Enter to win a $15 PayPal giveaway to use to purchase these Yoplait Original Yogurt with 25% less sugar. Entering is simple just follow the instructions on the widget. I would love the strawberry. The Cherry Pomegranate is my favorite flavor. Thanks for linking up with us at the #HomeMattersParty and I hope you’ll join us again! Oh my favorite is the Strawberry Banana, but they all look so good! 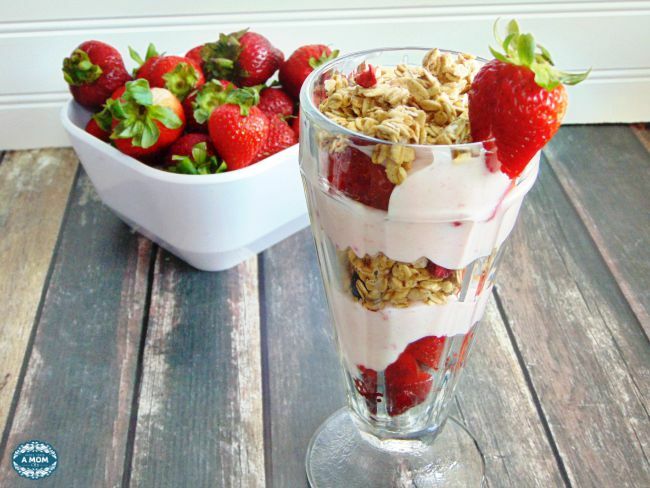 Nothing like an easy strawberry parfait! I love Yoplait. Love how pretty they look in the ice cream glass ware too! Theresa @DearCreatives recently posted…Kitchen Tools: Why Kitchen Shears Can Be A Cook’s Best Friend! Looks great- I think my kids will enjoy this- pinned. Found your blog on Sunday Features link party and started following on Pinterest and Google +. Strawberry is a very popular yogurt flavor in our house – both my boys will choose it over anything! Thanks for the great recipe at Merry Monday! Nice cool recipe! Thank you for sharing it with us at Funtastic Friday link party.